Old World River Cruises selects only the finest in ships. Filled with beautifully designed and furnished stunning staterooms and suites, you’ll be sailing in the lap of luxury. Step into an Old World river cruise stateroom or suite and find yourself ready to experience the most relaxing, stress free vacation possible while enjoying the most elegant of accommodations. 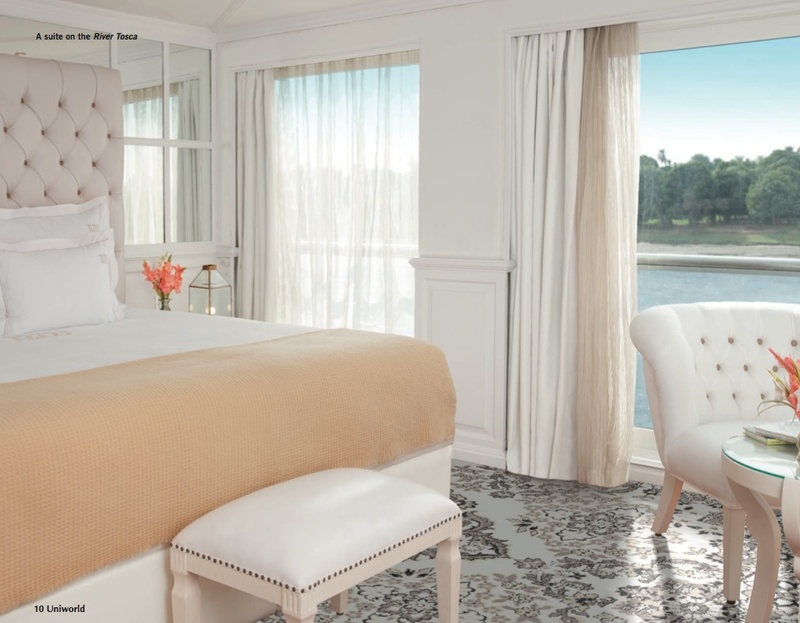 Set sail in your own world class hotel filled with the finest of furnishings, from the most beautiful draperies and exquisite comforters to Egyptian combed cotton sheets and wool-cashmere comforters. Richly stocked bathrooms await filled, with every imaginable amenity from plush robes to luxurious towels crafted by some of Europe’s most celebrated designers. Feel free to relaxing in front a state of the art flat-screen TV with satellite. Deluxe air conditioning assures you’ll be comfortable day and night and with twice a day turn down service from award winning staff, your room’s always clean and ready whenever you return. While every stateroom is beautiful, Old World river cruise suites with French balconies are unparalleled. Enjoy the added pleasure of room service for breakfast as you take in the sunrise and breathe in the morning air in private comfort. Where available, you’ll find staying in a one-of-a-kind owner’s suite an unforgettable experience.